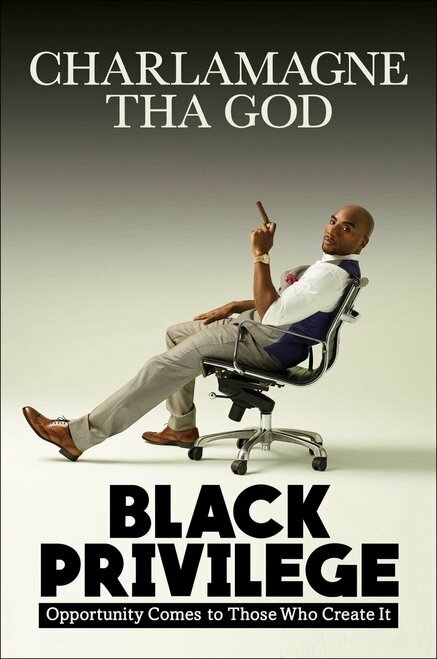 Excerpt from Google description: "Charlamagne Tha God presents his comic, often controversial, and always brutally honest insights on how living an authentic life is the quickest path to success. Beginning with his journey from the small town of Moncks Corner, South Carolina to his headline grabbing interviews with celebrities like Justin Bieber, Jay-Z, Nicki Minaj, Kanye West, and Hillary Clinton, he shares how he turned his troubled early life around by owning his (many) mistakes and refusing to give up on his dreams, even after his controversial opinions got him fired from several on-air jobs. Combining his own story with bold advice and his signature commitment to honesty at all costs, Charlamagne hopes this book will give others the confidence to live their own truths." Reason for selection: Well for one, I'm a big fan of radio interviews and I've been following The Breakfast Club and their iconic interviews for years. Once I heard Uncle Char was releasing a book I knew I would have to read it. And for two, the title BLACK PRIVILEGE is riveting. We've all heard about the privileges of being white but it's time we own our black privileges. PUBLICLY, for the world to acknowledge. So I'm curious to see Char's take on the title. Due to the approaching holidays reading may or may not be scarce so we'll complete this book January 30th 2018. Meet us back here next Tuesday for Book 2 | Talk 1 to discuss the first 32 pages. Happy reading sippers.